Doesn’t that just make you want to start humming Adrian Smith’s opening riff to “Number of the Beast” right away and then sing the opening lyrics only to end in Bruce Dickenson’s blood curdling scream….YEEEEEAAAAAAAAAAAAHHHHHHHHHHHH HA HA HA HA! of which I can only think of one heavy metal scream that might of been better (Geoff Tate on Queen of the Ryche?) 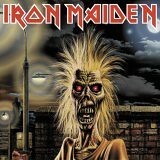 Holy crap if Iron Maiden isn’t one of the best Heavy Metal (if not one of the originators of Metal) bands in the world! Iron Maiden was first formed in 1976 by galloping master bassist Steve Harris, who would soon join up with rhythm guitarist Tony Parsons, drummer Doug Sampson, and drunkard vocalist Paul Di’Anno who was the vocalist for only the first 2 albums, Iron Maiden(1980) and the 1981 follow-up, Killers. This is a time when a very fortunate thing happened for Iron maiden… Adrian Smith took over on lead guitar and Bruce Dickinson took over on vox (Di’Anno was booted for having the incredible ability to put away mass amounts of alcohol and royally screw the pooch) for the Metal breaking album Number of the Beast. This album is now known as one of the greatest Heavy Metal recordings of all time. 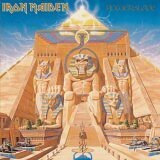 Next came Piece of Mind and 1983’s Powerslave (my personal Fav!). Iron Maiden has gone through many more line up changes with Bruce Dickenson going on to record Tattooed Millionaire (blah), but they will forever be somewhere in time as their music will live on forever. Duh. Duh. Duh. Duh. DUNT…..YEEEAAAAAAAAAHHHHHHHHHHHHHHHHHHHHHHH!!!!!!!! Check out these kids rock The Trooper – Amazing!